Cahal Pech was founded in the Early Middle Preclassic period and continued to thrive as a Maya city until at least the end of the Classic period, though there is ceramic evidence of a longer occupation. 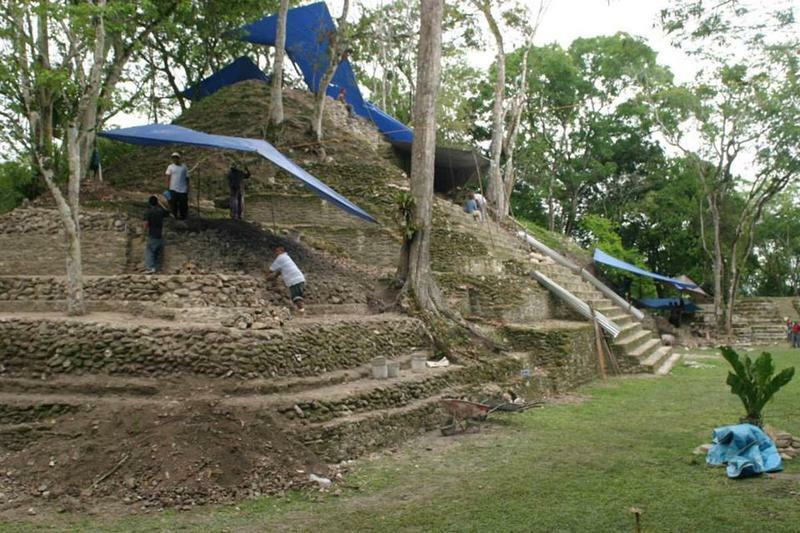 Recent excavations have suggested that Cahal Pech, which was most likely settled by Maya from Guatemala, is one of the earliest Maya settlements in Belize. Updates from week 3 of excavation. Read about what was uncovered in Week 2! Field notes from the first week of excavation in 2013 at Cahal Pech. For this field season, our primary goal was to expose any burials below the terminal phase architecture on pyramid B1 on the E-structure at Cahal Pech, a local site in San Ignacio, Belize.